4,642 pledged to download ALDF's LiveSafe app today. I Will do anything I can ,to Help a Animal in need ! If it's Hungry,I Will Feed it! If it's Sick,I Will get Medical help for it ! If it's being Abused,I Will contact the Authorities ! I Will HELP ANIMALS ! 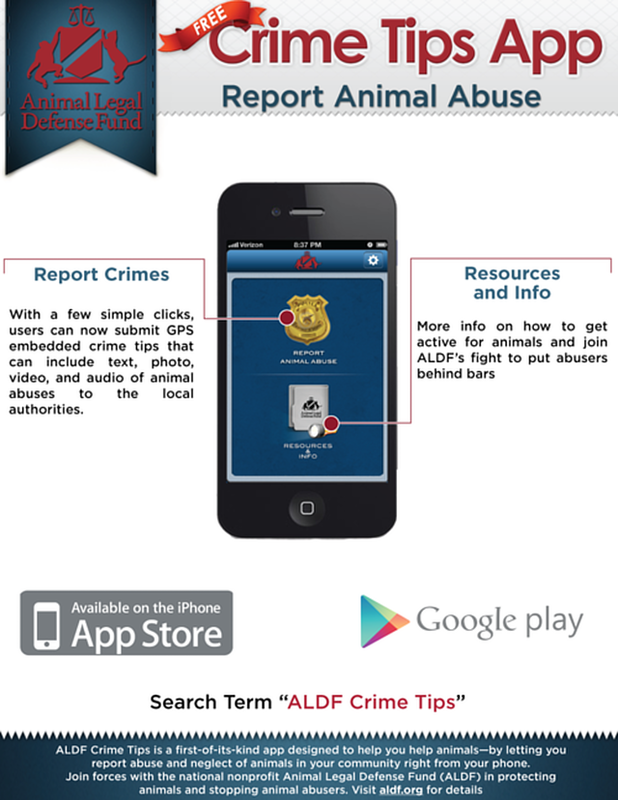 Pledge to download the "ALDF Crime Tips" app today!